David Kotei, also known as “D.K. 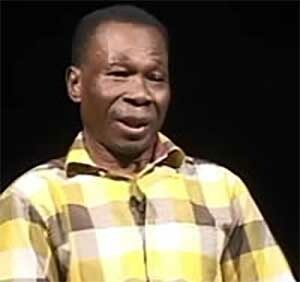 Poison”, former world Featherweight champion has said, Ghana has made significant progress in boxing, taking into consideration the number of world titles won over the years. According to Kotei, the assertion that Ghana boxing was dead cannot be true, but rather there had been so much progress, coupled with the large pool of talents at the disposal of the nation. “Ghana boxing can’t be dead considering the progress we have made and the vast talents we posses as a nation. “We have to take advantage of the talents at our disposal and nurture them well to dominate other weight categories and develop more champions. “Ghana has been blessed with lots of boxers that is why we are touted as a boxing nation, but I think we need to go the grassroots and motivate these boxers because if you go to places like Bukom, Nima, James Town among many others, you would be marveled by the talent that abound in boxing,” he told GNA Sports. He said, Ghana has made massive progress in the sport of boxing as compared to other African countries, adding that alone represents progress. “I think we have also progressed in boxing as compared to other Africa countries. We have produced more boxing champions over the past decades as compared to other nations, who have produced fewer champions,” he noted. Ghana, at the moment can boast of one world champion, Isaac Dogboe, with prospects like Richard Commey and Duke Micah also making significant strides in the division to annex a world title in the near future.